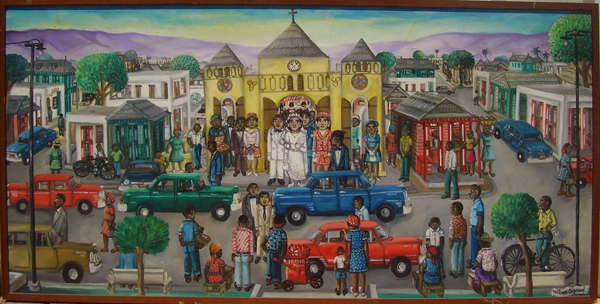 Bigaud is one of the living masters of Haitian Art. He was born in Port-au-Prince, Haiti in January 1928. At age 18, he met Dewitt Peters and joined the Centre d'Art. In 1950 his painting, "Paradise", won second prize in an international art exhibit in Washington, D.C. and was subsequently purchased for the permanent collection of the Museum of Modern Art in New York along with works by Gourgue, Philome Obin and Georges Liautaud. In 1951 he was one of the handful of artists chosen to execute the landmark murals in the Episcopal Cathedral of Sainte Trinite . 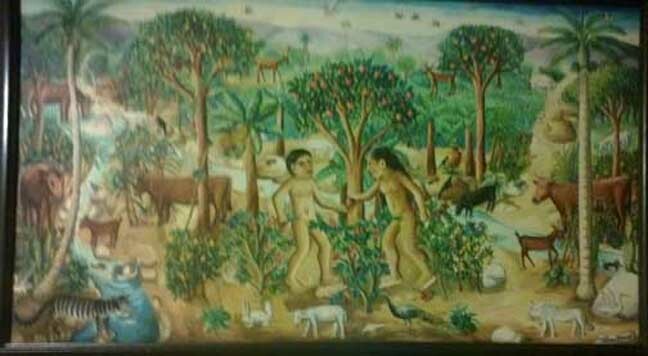 His masterpiece there is "Wedding at Cana". 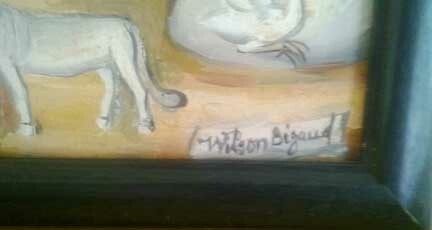 In 1957 Bigaud sank into a deep depression and did not paint again until 1962. Some say that he has never regained his early brilliance but there are few artists in Haiti or anywhere else who are as able to communicate the subtleties of their culture with brush on canvas. Wilson Bigaud continues to paint wonderful, humorous paintings in the relative solitude of Petit Goave, a smallish town far from the clamor of Port-au-Prince. Bigaud passed away on March 22, 2010. Visa, Mastercard, Discover and American Express are cheerfully accepted. Call 1-888-683-6486, 8am-8pm Eastern Standard Time.